John McAlpine handing over a copy of the Common ANZACPE Standards to Allison Whitby, the chair of Professional Standards for the Association. For many years ANZACPE members have talked about and wished for a set of common basic Standards for all ANZACPE members Associations. Since its inception into Australia and New Zealand, each of the Associations has developed its own Standards; and while all of these share so much that is common, there has also been a sense of a separation of development and practice of those Standards. At last year’s Conference in Qld, it was decided that we would work towards a set of Common Standards for Basic and Advanced CPE students, and for Level I (or Pastoral) Supervisors. 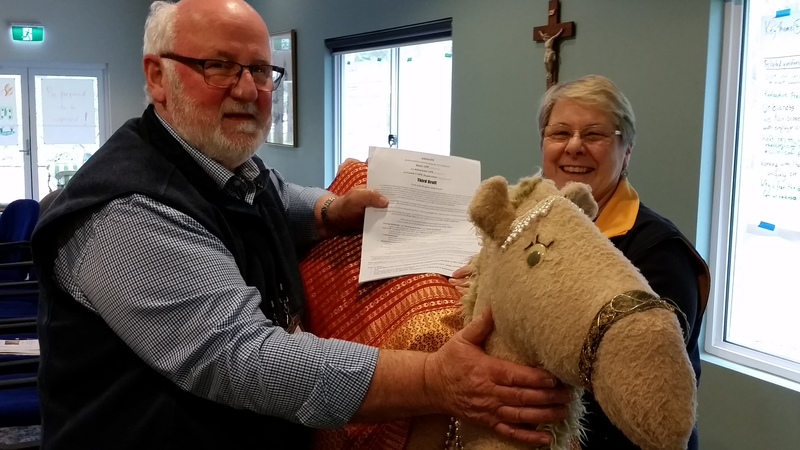 New Zealand supervisor and ANZACPE Executive member volunteered to begin work on drafting those Standards, and was able this year to present them to this year’s Conference. In the twelve months in between, however, there had been extensive consultation between John and the various Associations, and within the forum of the ANZACPE Executive Committee. The presentation made at the Perth Conference was actually the Third Draft – and even then the Conference made a few more suggested changes. These Common Standards will be reviewed each year. John McAlpine was profoundly thanked by the Conference for his diligent and time-consuming work in drawing this final Draft together. And then he went and volunteered to review the Level II or Clinical Pastoral Supervisor Standards (which are already common to all Associations, but in need of update)…. as well as the Level III (or Clinical Pastoral Educator) Standards (which are currently also developed by each Association). Noone demurred to John’s offer. 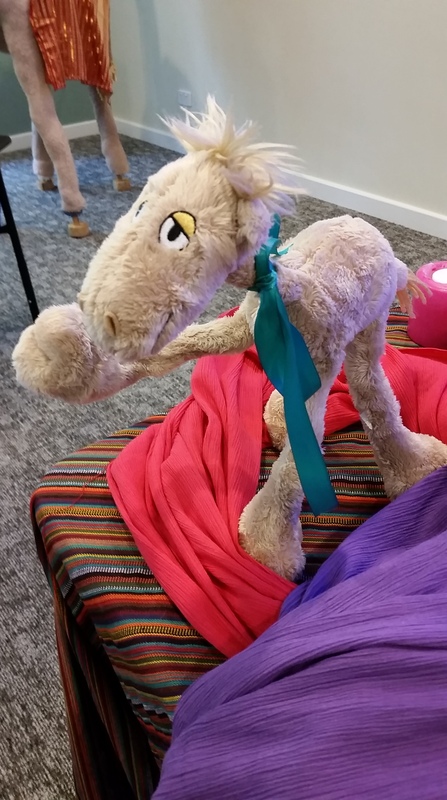 …and so the Camel gave birth! He was named Clive.